As FT8, JT65 and JT9 are a time synchronized protocol, one soon discovers that an accurate PC clock is very important. If your workstation time is off it can cause you to send when no one is listening, or to listen when no one is sending. The simplest solution is to install an NTP client and be on your way. If however your internet connectivity is a bit dodgy or you want the ability to operate without (gasp !! ) internet connectivity. Then a local NTP server with a GPS reference may be just the ticket. While the dedicated NTP sites frown upon the use of a GPS receiver which does not have a PPS output. My goal is usability and not perfection and this system is very usable. Sits above my desk on a shelf and has no trouble getting a lock through the roof. The next step was installing a NTP server on my Windows 7 workstation. 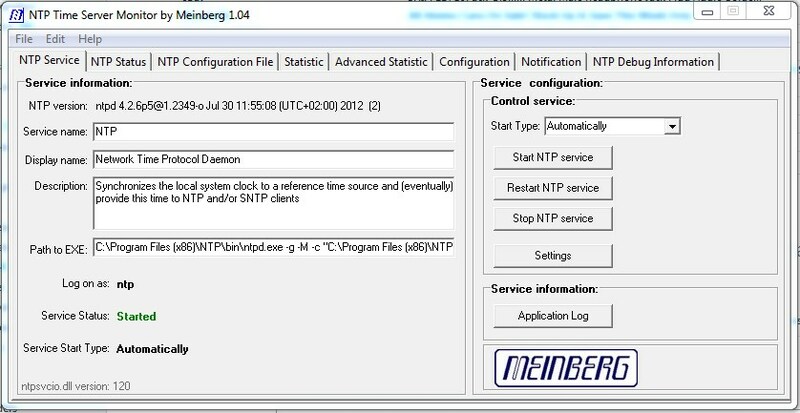 I used the Windows binary installer available on the Meinberg website and while I was there I also downloaded the NTP Time Server Monitor. 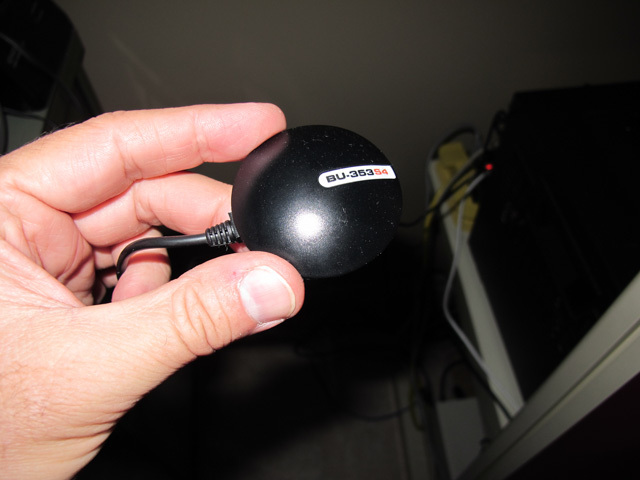 After installing both packages the first step is to adjust the ntp.conf file to make use of your GPS receiver. 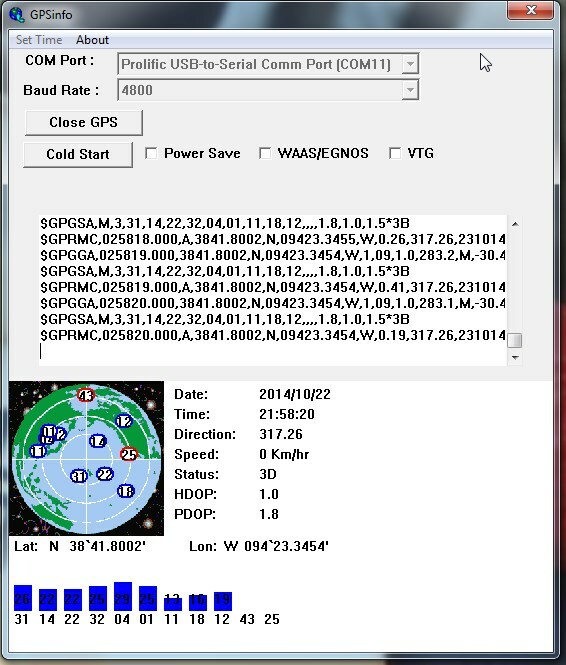 The first step is finding what port it is on, an easy way to do this is to download GPSInfo from the GlobalSat website. Next in the comm port drop down. Look for ports which have the Prolific driver and select it. Press the Start GPS button to test that the port you selected is the GPS. If not rinse and repeat until you find the correct port. Once you locate the port, make note of it and exit GPSInfo. 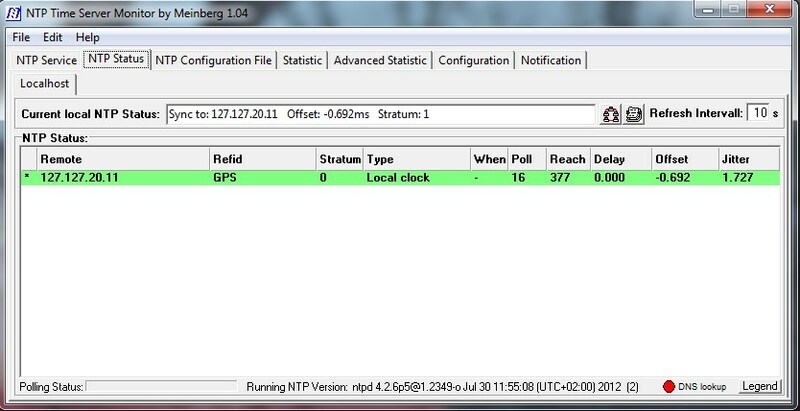 With the GPS port found next step is to setup the NTP service to use it. 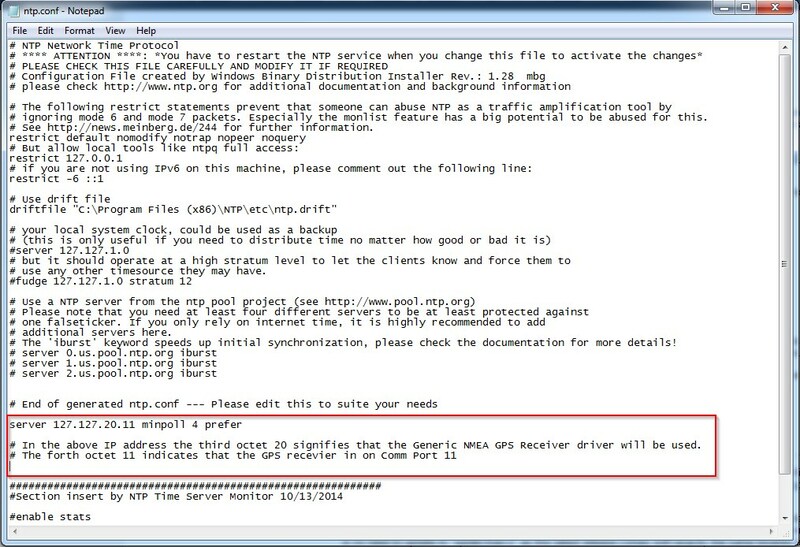 A simple way to manage the NTP service and edit the ntp.conf file is via the NTP Time Server Monitor app. However as this app has not been updated for Windows 7 it needs to be run with admin privileges in order to write the ntp.conf file. This is easily done via the shortcut properties. Next setup up the location of of the config file. Typical if you installed with the defaults is “C:Program Files (x86)NTPetcntp.conf”. Once you can edit the conf file you can comment out everything except the restrict and driftfile line in the stock file. 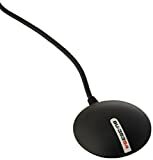 Next need to add in a line to bring in the correct reference clock driver, which for us is the NMEA GPS Receiver driver. If your port is different then adjust the port accordingly and save the file. 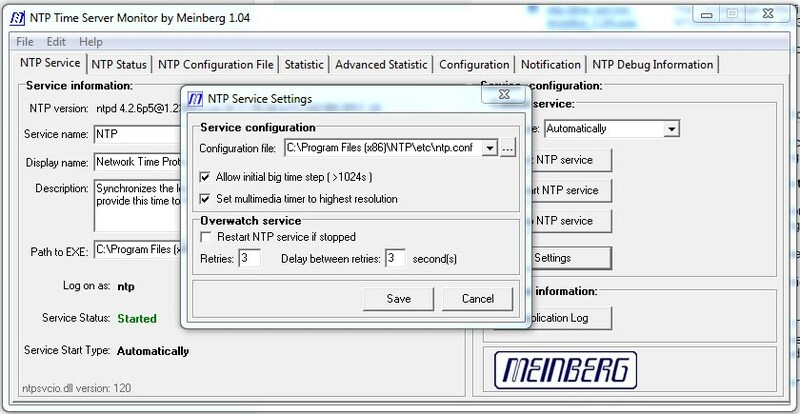 Back on the main tab, start or restart the service for the updated config to be read. Flip over to the Status tab and give it sometime for the jitter to settle down. Wonderful Bill I am glad it was of use to you. I will look for you on the dates in Oct. I don’t understand your question, need more information as to what the issue is. Post your config file. # use any other timesource they may have. First step is to verify the GPS is working. I would recommend downloading VisualGPSView from http://www.visualgps.net. 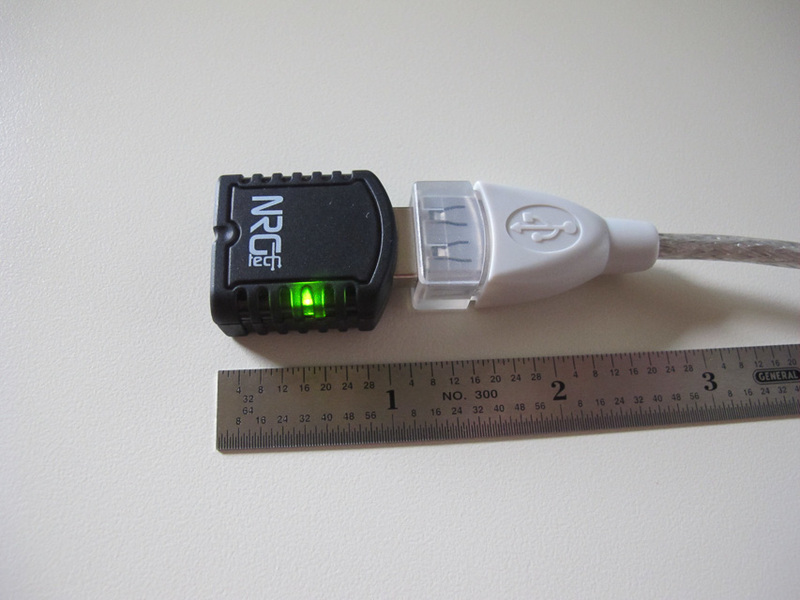 In order to use the tool you will need to stop the Meinberg GPS daemon. 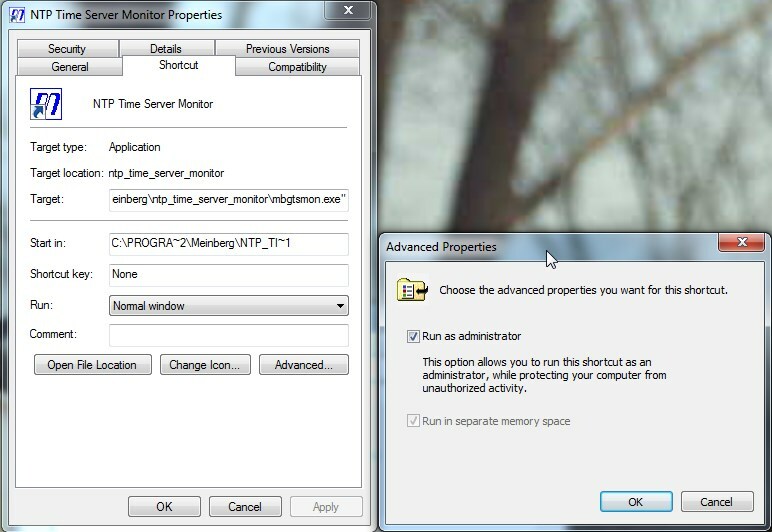 To stop the Daemon you will need to start the NTP Time Server Monitor as administrator.